hello I am new to posting on smarttings forum, I have been a smart home user for several years, but I am mostly a grateful reader of the site. But recently I have been looking for some new non neutral switches do to my past intermatic switches are starting to fail. After reading many postings I started to feel like i was swimming in information, but i was coming up with little information. I was wondering if a list could be put together of non neutral switches? Makes models and if they and be used in 3 way setups? Smart switch that works without a load wire? The first one you listed is not a Lutron switch (they don’t use zwave), it’s a GE switch. 1) Lutron Caseta, Integration through the Lutron SmartBridge. Several of their models do not require a neutral, and Lutron, which is an engineering company, holds patents on their method, which is why they can do things that many other companies cannot. Note that you can use their pico battery operated remote for the auxiliary in a three-way, and that can save you quite a bit of money overall. These will work with LED bulbs as well as incandescent or halogens. This is probably the most popular choice as of this writing. These will also work with HomeKit or IFTTT. They are on the official “works with smartthings“ list. You can use either the regular smartbridge or the smartbridge pro. The pro will give you more integration options in the future, so personally that’s the model I recommend, but it will cost about $50 more than the basic model. Get the second generation of either bridge model if you want HomeKit compatibility also. One bridge can support up to about 40 Caseta devices. They’re sold in a lot of different bundle options, I’m linking to one that has the pro bridge, a master switch, and a pico. 3) aeotec zwave plus nano dimmer. May also require a “bypass“ device if the current load is too low. This is an inwall micro. You can use it with any dumb light switch, although retractive/momentary will be more intuitive for dimming. Like the Lutron, works well with most bulb types. This is probably the second most popular choice right now, it’s just a little intimidating to people who have only worked with all in ones before. I’m going to link to the smartest house website because they have the best product description, but you will be able to find this other places including Amazon if the smartest house is out of stock. Note that only the dimmer does not require a micro. The regular “switch“ does require a micro. As with any zwave device, Make sure you get the frequency that exactly matches your hub, so don’t buy one from the US and expect it to work with the UK hub or vice a versa. 4) Fibaro Dimmer 2. Very similar to the Aeotec Except this one only works with incandescents or halogens, not LEDs. Again, only the dimmer works without a neutral, not the relay switch. And again, if you don’t meet the minimum current load you may need an additional bypass device. 5) Leviton Lumina ZSS10_G0Z no neutral zigbee Switch. these are officially compatible with smartthings, but are very difficult to purchase outside of wholesale channels. The Lumina line is intended for hotels and office buildings. Typically very expensive if you are only buying one. This switch comes in two versions, one which requires a neutral and one which does not, so check the model number carefully. Also note that this is a switch, not a dimmer. Works with all bulb types. Some community members who have all zigbee installations are using them. Note that with this brand it’s the relay switch which offers a no neutral option and the dimmer which requires a neutral. So read specifications carefully. 6) older GE zwave Classic switches. you may be able to find some pre-2016 GE switches which do not require a neutral, but which will only work with incandescent bulbs. 7) anything which has two way communication with IFTTT. you can use IFTTT as a “man in the middle“ integration with any switch which has an IFTTT channel. It’s just a question of how much lag and if all features are available. You can usually get pretty good integration with an on/off switch, dimmers may be trickier. But it is an option to consider and some community members are using it. You have to set the switch up with its own app and/or hub if it has one, and then just use IFTTT to trigger events in either direction. This is most popular for our EU community members who may be using lightwave RF generation 2 devices, but if you happen to find a no neutral switch and it does work with IFTTT, that’s an option. 8) Use Echo as the “Man in the Middle.” This is a new option as of the fall of 2018. Any device which can be controlled through an echo routine (not a smartthings routine) Can now be triggered from a smartthings event. Setup is a little complicated, but not too bad. Again, it’s a matter of finding a device you like, setting it up with its own app, setting up its native echo integration, And then using an echo routine to tie it in with smartthings. There are a few Bluetooth switches like Switchmate that this might work with, for example. 9) Illumra or other “Friends of Hue” zigbee green power switches.. there are now several zigbee green power switches which can work with the hue bridge. These do not require batteries, but are also not mains-powered. They harvest a tiny bit of kinetic energy when you physically press the switch (which for this reason will feel quite sticky and a bit hard to press). No wiring, so the absence of a neutral doesn’t matter. But they can only be used to turn on devices which are connected to the Phillips hue bridge at this time. They may eventually be able to work with the smartthings hubs which support zigbee 3.0, we will just have to wait and see on that one. 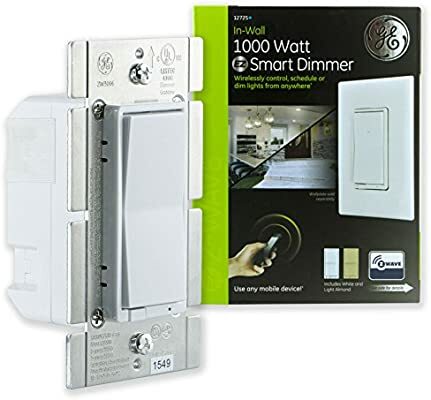 But if you do want a wall switch to control lights connected to a hue bridge, this is worth adding to your candidate list. At the time of initial release, the US models from Illumra cost just under $50 and can be set up as either a 2 button switch which looks just like a conventional rocker or a four button switch which looks like 2 skinny rockers side-by-side. Comes in lots of different colors, including brown and black. 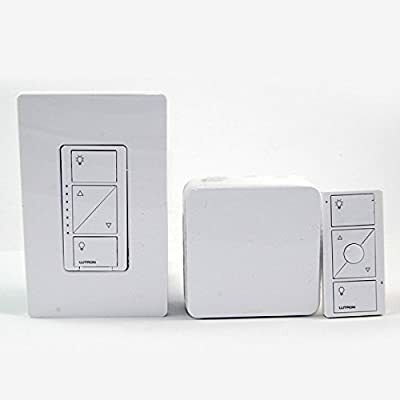 10) battery-powered devices There are a couple of dozen different battery powered devices that work well with smartthings, some of which are designed to look like regular wall switches. Some fit over an existing switch and physically move it. Most just send an instruction to the smartthings hub which then sends an instruction to another device, typically a smart bulb but could also be a micro or another in wall switch. Prices, shapes, and protocols very. But this is a good choice for many people. I am looking for a button that can stick to the wall, and I’m stuck . Scenario: Our guest bedroom has 3 lamps equipped with Cree Connected light bulbs. The room has no overhead light fixture and no light switch (old house, fixer upper), nor was it ever wired for a light switch (so nothing to go off of). Therefore, I want someone to be able to walk into the room and tap a button to turn on the 3 lamps. That’s the only functionality I’m looking for – a button that I can then program that when pressed, the connected lamps turn on/off. I’m stumped on finding something! Any recommendations on a simple SmartThings compatible button I can mount on the wall? I may have missed something, but those are the ones I can think of off the top of my head. this was great thank you JDRoberts if you remember any others please post them I think its helpful to a lot of people including me. 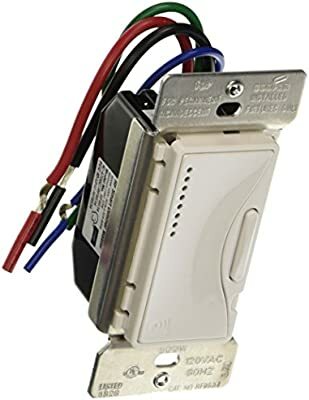 The Eaton Wiring (formerly Cooper Industries) RF9534 dimmers also can be wired without a neutral. Good point, just remember that like the older GE devices, they cannot be used with LEDs, even dimmable LEDs. They need a resistive load. Cooper themselves officially renamed the device to “incandescent dimmer” to underscore this point. Please don’t post pre-order devices to any of the community FAQs on devices. It’s very frustrating for new people and we never know for sure whether the features as promised will actually be delivered, let alone when. Until you can actually order it for two day delivery from Amazon, it’s all just marketing. You can set up a separate thread in the devices section of the forum for any individual pre-release model that you want to discuss.